Black ceramic chime candle holder with a silver Pentacle. 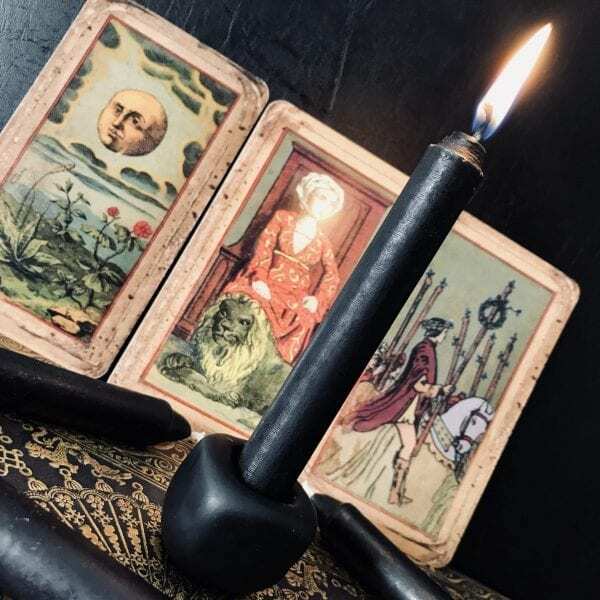 These little holders are perfect for holding your spell chime candles and look great on an altar. The light weight nature of the holders makes them perfect for the traveling spellcaster. 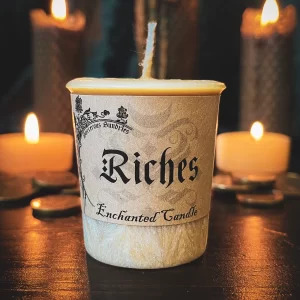 This way, you can burn your candles out under the night sky or within a magical forest. 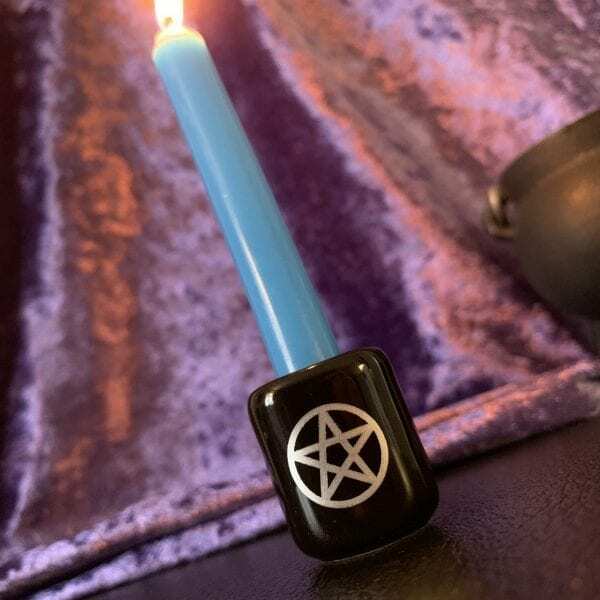 Each black chime holder with silver pentacle measures approximately 1 x 1 1/4 inches tall and will hold chime candles 1-1.5 cm in diameter. These chime candle holders are heat resistant and made to last. Remember, never leave a candle burning unattended, especially if you’re burning candles outside.